The fine work of copper-smith artisans Cape Fear Copper is available at Ricky Evans Gallery. 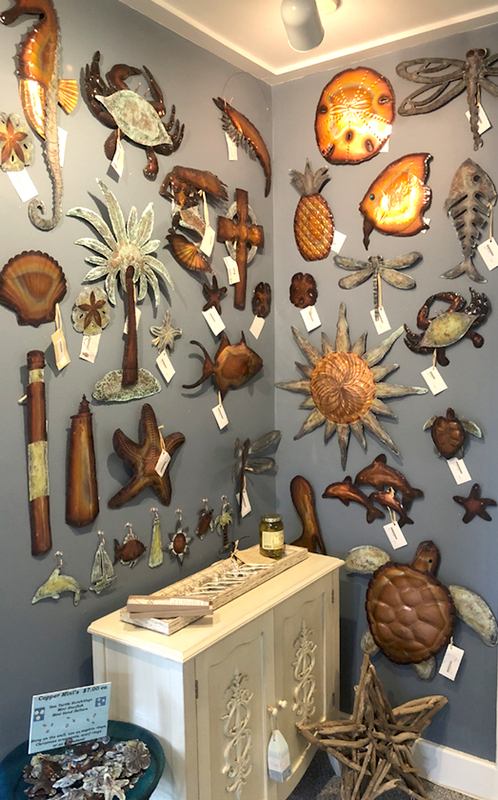 The artisans, Kendal and “D”, are the creators of all this lovely copper work and we hope you come in to see the vast collection we have available. Most of their designs are the result of a collaborative effort between the two artisans. D’s mechanical engineering experience combined with Kendall’s love of the decorative arts blend well allowing them to execute any designs and custom requests they have encountered so far.